Enjoying a great cup of coffee is the perfect way to start your day. If you enjoy drinking espresso or a latte, you probably already know those trips to your local cafe or Starbucks can be really expensive. The good news is you don’t need to spend a fortune on an expensive espresso machine. 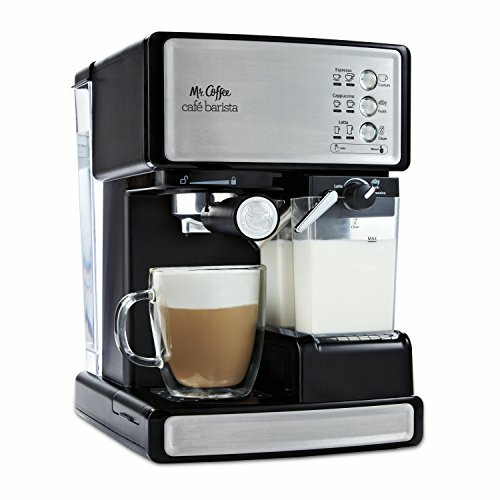 There is a HUGE range of affordable espresso machines available to make great coffee at home. The biggest challenge is how to choose between the best budget espresso machines on the market. With the help of our espresso coffee machine reviews you can compare espresso machines to find the best espresso machine for under $200. 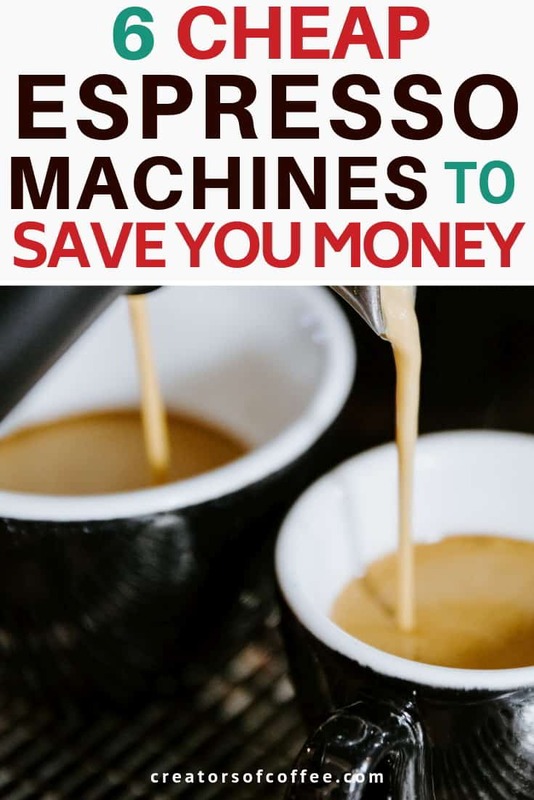 These cheap espresso machine options offer great value for money, will pull a good shot of coffee and free up your hard earned cash to spend on something other than your daily coffee fix. Our top pick for the best affordable at home espresso machine with the best mix of features and reliability in this price range is the DeLonghi EC 702. It looks great, has all the basic features you would expect, plus some extras that set it apart from the others in our list. The following chart compares the best inexpensive espresso machine options. This table will help you compare the espresso machine brands side by side. Sort the table by clicking on any of the headers. You can find more detailed espresso machine reviews below. Here are some of the main features to keep in mind when reading our best espresso machine for home reviews. 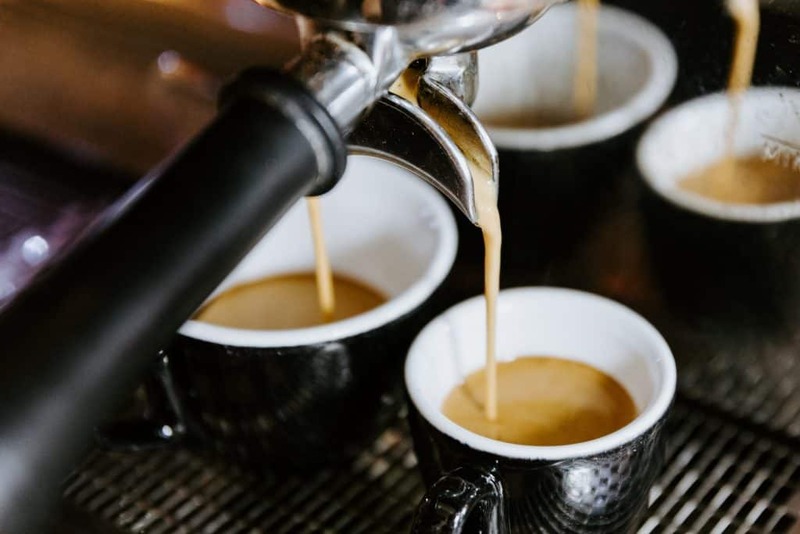 If you are unsure about any of the terms used to explain the home espresso machine features, head over to our Coffee Glossary for an explanation. A manual espresso machine is typically controlled with a lever, do not require electricity and are for the coffee lover who wants to learn everything about coffee. A semi automatic espresso machine has a pump to extract the espresso, often has a steam wand to froth milk but still requires input from you to prepare the coffee. On a cheap espresso maker the controls are often manual. Automatic espresso machines do all the work for you. From grinding the beans to extracting the espresso and frothing the milk all at the push of a button. These are typically more expensive espresso machines. When searching for the best home espresso machine under 200, there are a lot of great semi automatic espresso machine options. You will find a number of these in our espresso maker reviews. 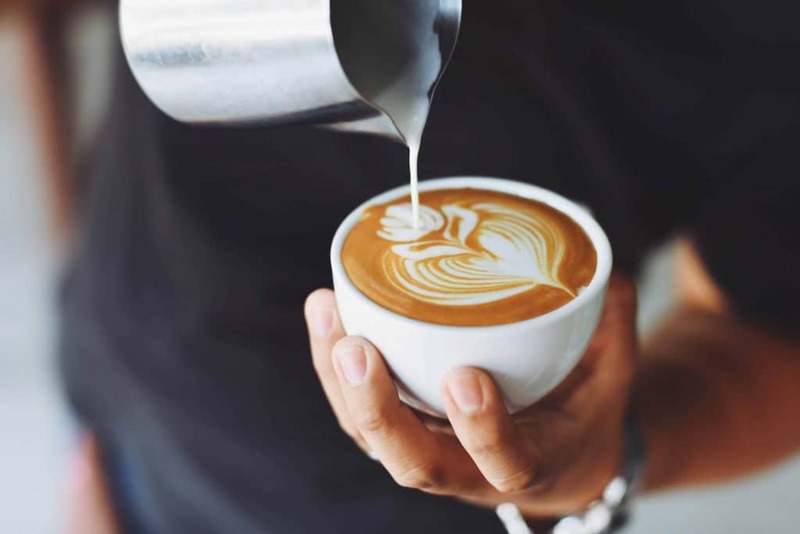 If you enjoy drinking a latte or cappuccino, then a steam wand to froth milk is an important feature to look for when comparing good cheap espresso machines. The best cappuccino maker under $200 will have a steam wand on the side of the machine. The quality of the steam wand has a big impact on how well you can texture milk, so always check the reviews for any issues with the steam wand on any affordable home espresso machine. There are three main types of boiler in all espresso machines. The boiler heats the water used to extract the espresso and heat the milk. 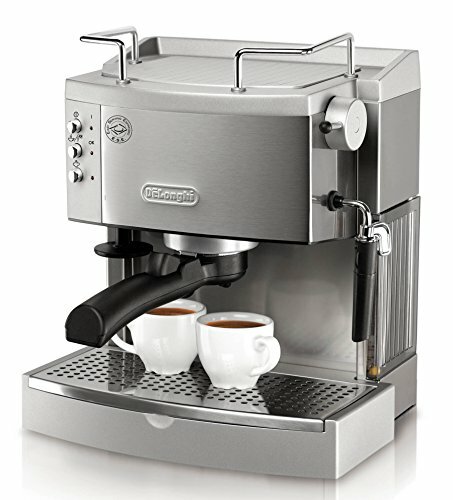 When comparing cheap vs expensive espresso machine features, the boiler type is one of the main differences. Thermoblock is the most common boiler type in a good entry level espresso machine. They are are fast to heat and more compact than many single boiler machines. Single boilers tend to produce a more consistent temperature, which is an important factor in producing consistently good coffee, but they usually come at a higher price. Maintaining a consistent temperature is an important feature on a home espresso maker. Most espresso machines under 200 will have one thermostat to control the temperature of the water and steam, which can result in some inconsistency. The best cheap espresso machine options will have dual thermometers to control both the water and steam temperature separately. You will notice in our home espresso machine reviews under 200 there are many similarities in the functions of each machine. However there are small feature and design differences that will help you choose the best value espresso maker for your home. Here are some practical questions to ask as you consider which is the best espresso machine under $200 for you. An important consideration when reading our affordable espresso machine reviews is how much bench space you have. Some coffee makers are bulkier than others, so check the dimensions of both the space you have in mind and the coffee espresso maker before purchasing. We recommend you also purchase a coffee grinder like this one, so make sure you have the space for both before buying an espresso machine. Are you looking for the best portable espresso machine? If you have limited space and plan to store the espresso coffee maker in a different place to where you will use it, or you want to take the coffee machine away on vacation, consider the weight of the machine. Nespresso coffee machines are compact espresso makers ideal and we have included the best Nespresso machine under 200 in our list below. Do you drink your coffee black or do you prefer coffee with milk? Some good cheap espresso machine options don’t have a built in steamer. So, if you like to drink a latte or cappuccino, look for the best espresso coffee machine under 200 with steam wand. A big point of difference when making espresso at home is the level of control you have vs the machine. If you are interested in learning the process of making good coffee at home, a manual or semi-automatic espresso machine is a good choice. If you don’t have time or interest in building barista skills, then a super automatic espresso machine is a better option. 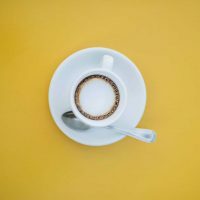 While the number of unique features on cheap espresso machines is less than on more expensive espresso machines, there are still differences between them. We suggest you review the features we list above, identify which are important to you and look for those features in our inexpensive espresso machine reviews below. Espresso machine price is one of the top criteria when choosing the best espresso coffee machine for home. We are confident you will find the best value for money espresso machine from our list. 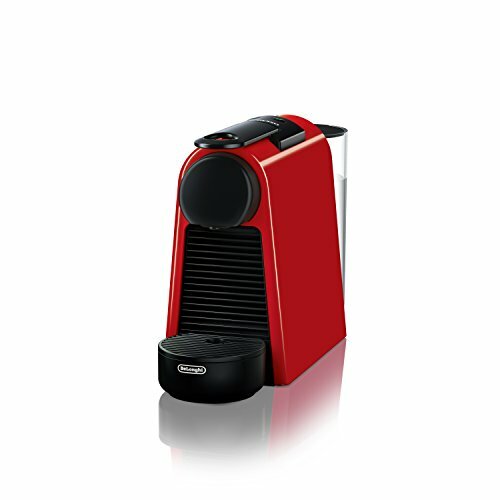 The Mr Coffee Cafe Barista is one of the most popular and best rated affordable espresso machines on the market today. With 15 bar pump espresso machine, one touch control panel and automatic milk frother, the only thing you need to do is grind the beans and you will have your favourite coffee whipped up in no time. Click to buy it here. The Mr. Coffee Cafe Barista Espresso and Cappuccino Maker control panel has three buttons to choose from for espresso, cappuccino or latte. A great feature is the option to run a short or long coffee by double tapping the button. The automatic milk frother does all the work for you. This makes milk frothing simple but note that it does limit the amount of control you have over the texture of your milk. The biggest drawback of budget espresso machines is inconsistent brewing temperatures and this machine is not immune from this issue. During testing the brewing temperature does fluctuate. What this means is that it is more difficult to obtain a consistently good espresso especially if using lightly roasted beans. You are more likely to taste the variable flavor when drinking straight espresso. Your best bet is to purchase a dark roast bean to extract the most flavor when using this machine. In summary, whilst the design of this budget all in one espresso machine may not appeal to everyone, it has all the essential features you need in a home espresso machine. The Mr Coffee Cafe Barista is the best automatic espresso machine under 200 on our list. If you are a looking for an automatic coffee maker that does it all for you, this is the one for you. If you are looking for the best traditional espresso machine under 200, the Delonghi EC 702 espresso machine is an excellent choice. What sets the DeLonghi EC 702 apart are some extra features not found on many espresso machines at this price point. It is also an easy espresso machine to use that should allow the beginner barista to learn the basics of making good espresso. large 44 ounce water reservoir. This is one of the few top espresso machines under 200 with a stainless steel boiler. They tend to have a longer life than thermoblock systems and can maintain a more consistent temperature. The 3 in 1 pressurised portafilter is more forgiving and means the tamping pressure and grind coarseness is less important to extract a good quality espresso. It is possible to use ground beans or easy serve espresso (ese) pods with this machine. The clearance between the spout and drip tray is smaller than the Mr Coffee but it can accommodate taller mugs by removing the drip tray. It is a relatively compact coffee machine and will fit comfortably on any kitchen bench. De Longhi have included a number of additional features not found on an affordable espresso maker. It is these features that make it our choice for best espresso maker under $200. This DeLonghi espresso machine is one of the best espresso machines for beginners. While it requires more input (and opportunity to learn) than the Mr Coffee, it means you have more control over the tamping and milk preparation. Despite the cons, we think the DeLonghi EC702 is the best affordable espresso machine under 200 on the market. The extra features make it stand out from the rest and the classic stainless steel design will look great in any kitchen. If you love this espresso machine as much as we do, we recommend you purchase a good quality grinder, a small milk pitcher and steel tamper as the inbuilt tamper is a little awkward to use. 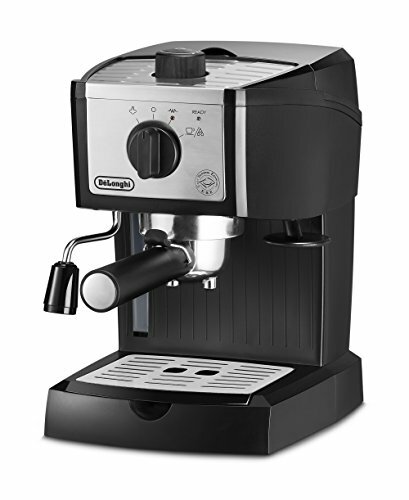 >> Click to see the price for the DeLonghi EC702 here. The Capresso EC100 is a simple espresso machine offering good value for money. If you are looking for a good inexpensive espresso machine, this is one worth considering. This Capresso espresso maker is a compact espresso machine with a stainless steel lined thermoblock heating system. Thermoblock systems are quicker to heat up than a single boiler. They also tend to produce more consistent dry steam which is great for the quality of your milk froth. The pressurised portafilter removes some control over extraction quality, but this is not a bad thing for beginners as the grind size and tamping pressure are less important factors in pulling a great shot of espresso. The issue with the Capresso EC100 espresso machine seems to be its longevity. Many Capresso EC100 reviews note problems with the machine failing after a period of time. It may be partially to do with the thermoblock system which tend to block more easily, it may just be the quality of the parts. 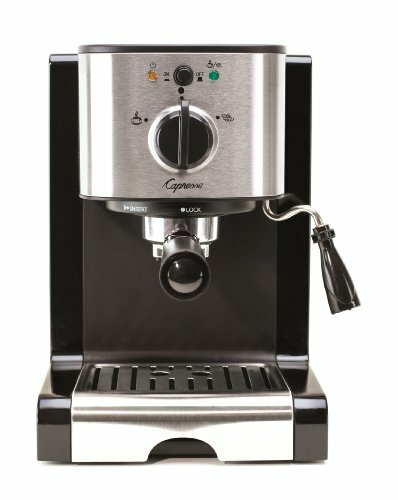 The Capresso EC100 has recently been superceded by the Capresso EC300. You can read the Capresso EC300 review here. The Capresso EC100 is a cheap espresso machine but it is a great entry level coffee machine. It comes at a great price and is one of the best low cost espresso machine options on our list. This basic espresso machine is one of the best entry level espresso maker options. The EC155M is the new model and replaces the EC155 which has been around for quite a while. The new model has a better designed drip tray and the portafilter lock is now made from steel instead of plastic. The DeLonghi EC155 espresso maker is one of the smallest espresso machines and at this price we think it is the best espresso machine on a budget. So what is the difference to the DeLonghi EC702? The steam wand is shorter, but it still swivels and like the EC702 it dispenses hot water for lovers of americano style coffee. The DeLonghi EC155 is a small home espresso machine with a small boiler. This can result in less consistency in the quality of espresso shots. Allowing the machine to reheat between pulling shots will help with consistency. Despite the cons the DeLonghi EC155M can produce a solid espresso shot particularly when used with dark roasted beans. 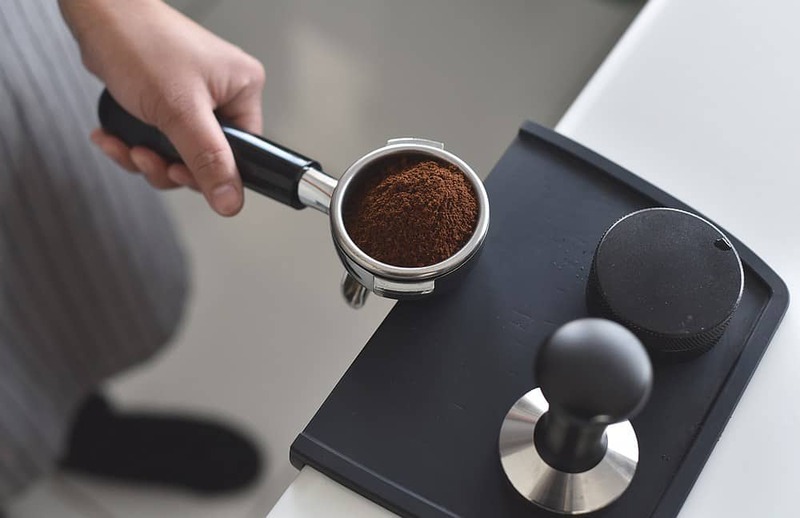 If you decide to go with this machine, we recommend you purchase a steel tamper and a good quality coffee grinder as this will make the biggest difference to getting a great espresso shot. Dimensions: 11” tall x 7” wide x 9” deep. >> Click here to find our more about the EC155M espresso machine. 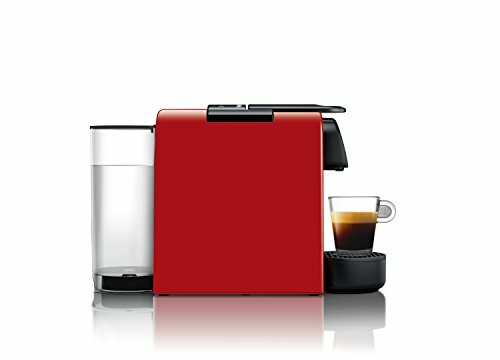 The Nespresso Essenza Mini is by far the most compact semi-automatic espresso machine on our list. It is also light enough to pick up and pack away when not in use or add to your luggage for a weekend away. Nespresso machines operate using coffee capsules or pods. There are two lines of espresso machines – the Original and the Vertuo. After assessing the two lines we are not convinced the higher cost Vertuo machines produce better espresso plus the pods are more expensive so why pay more for the Vertuo? The Nespresso Inissia Espresso Maker is also very popular but we think the sleek design of the Nespresso Essenza automatic makes it the best pod espresso machine at this price point. Note: If you like a milky coffee, you will need to purchase the aeroccino milk frother. Overall the Nespresso Essenza Mini is a good compact and affordable option and this is why it makes our list as one of the best capsule espresso machines under $200. The coffee produced by all Nespresso machines seems to lack the richness in taste typically extracted from a traditional espresso machine. The non-recyclable waste generated by the coffee pods. The higher ongoing cost of buying pods compared to ground coffee. Nespresso has implemented a recycling program which is worth looking into if you love this machine. The Essenza Mini is a simple to use espresso machine with a compact design that is appealing to many people, especially if those looking for a portable espresso machine. For these reasons we have included it on our list of best espresso machines under $200. But, if you want a rich tasting espresso or are concerned about contributing waste, this isn’t the machine for you. Dimensions: A very compact 8” tall x 4.3” wide x 12.8” deep. >> Check out the latest prices and more information here. If you are looking for a manual espresso machine then you can’t go past the Flair Espresso Maker. Simple to use, no power or batteries required, it produces an excellent espresso wherever you are. All you need is boiling water and freshly ground beans. The Flair Espresso Maker has the ultimate minimalist design, and requires very little space on your kitchen countertop. 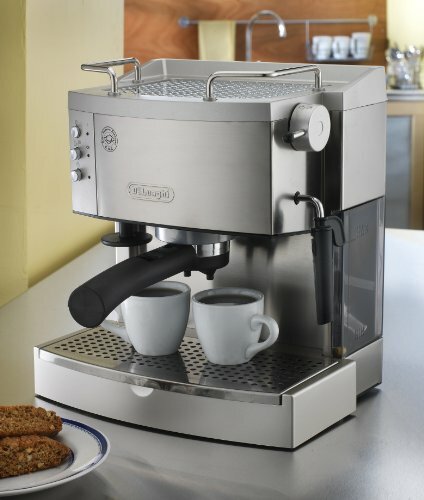 Note there is the option to upgrade to the chrome Flair Signature Espresso Maker – See it here! The Flair Espresso Machine also comes in a convenient carry case to pack for a weekend away. All pieces need to be removed and cleaned after each use. The Flair produces an aromatic, full flavoured espresso shot within minutes. If you are looking for a portable espresso machine or want full control over the extraction process, the Flair Espresso Maker is one of the best manual lever espresso machine options. Pair it with a manual coffee grinder for the perfect combo for travel. The Flair is an excellent choice for the craft coffee lover interested in learning more about how to make great coffee. You may question this entry in our list of best coffee machines under $200, but hear me out! 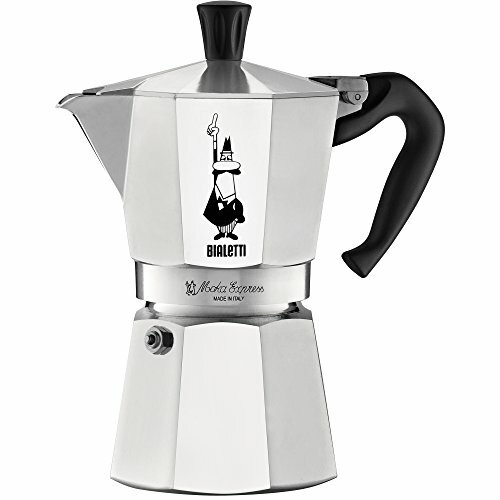 The Bialetti Moka Express is a traditional stove top espresso machine. 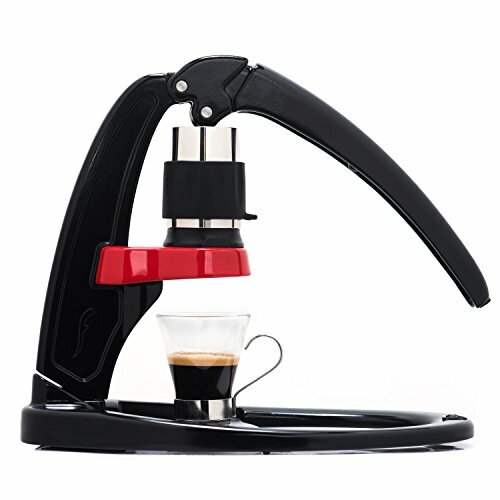 It has a classic Italian design, is quick and easy to use and produces an excellent coffee. 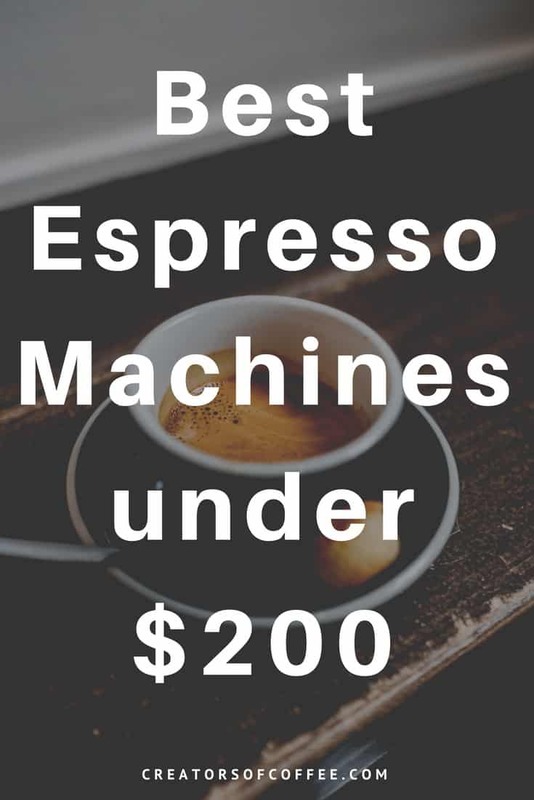 While technically it may not be classified as an espresso due to the lower pressure used to create the coffee, for the budget conscious espresso drinker this is a great espresso machine budget choice. Water is placed in the bottom heating vessel and coffee grounds in the filter. The Bialetti is placed on the stove top. The heat warms the water in the bottom section and pressure forces it through the coffee and up into the top section. 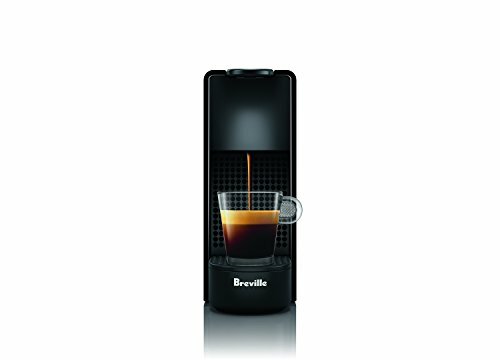 It produces an aromatic, full flavoured espresso shot within minutes. If you drink black coffee and you are looking for a portable, compact espresso machine, the Bialetti espresso machine is one of the best espresso makers under 100. While not a true espresso machine it makes an excellent cup of coffee and is an excellent choice if looking for the best budget espresso machine. Our review of the Best Espresso Machines under $500 here. Check out our favorite coffee beans for espresso here. To take your budget espresso machine to the next level, consider purchasing a manual coffee grinder.